About one third of the population have some form of gum disease and more teeth are lost through gum disease than tooth decay .Our top priority is to help all our patients to have healthy teeth and gums, and we therefore place a strong emphasis on prevention and patient education. Prevention is always better than cure, with many long term health benefits. Screening for gum disease forms an integral part of your regular dental examination .Some patients may be more prone to gum disease and so regular preventative advice and care is essential. Our hygienist plays a key role in this, helping you to avoid or combat gum disease. By keeping your mouth in tip top condition you are likely to need fewer visits to the dentist for treatment or toothache. Smile with confidence and keep your teeth for life. Probably. 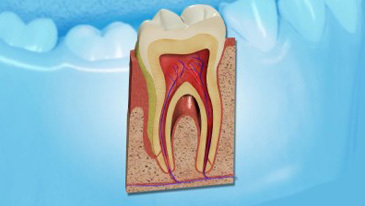 Most people suffer from some form of gum disease, and it is the major cause of tooth loss in adults. However, the disease develops very slowly in most people, and it can be slowed down with a good daily home care oral health regime and regular maintenance visits and professional advice. This should allow you to keep most of your teeth for life. There is now some evidence to suggest that poor oral hygiene and gum disease may be linked to heart disease; so preventing gum disease or treating your gum condition could possibly be saving more than just your teeth. Smoking can also lead to gum disease. Patients who smoke are more likely to produce bacterial plaque, which leads to gum disease. The gums are affected because smoking causes a lack of oxygen in the bloodstream, so the infected gums fail to heal. Smoking causes people to have more dental plaque and for gum disease to progress more rapidly than in non-smokers. The first thing to do is to arrange a dental visit so that we may examine your teeth and gums and advise you as regards appropriate treatment. Periodontal diseases are never cured, but may be stabilised with good home and professional care. The successful treatment and control of gum disease is very much a team effort, involving the patient, dentist and hygienist, with the need for a long-term commitment from the patient as regards ongoing professional and home care.